Townsville provides close access to the Great Barrier Reef World Heritage Area. This is a particularly sensitive environment of national and international significance. Cleveland Bay and Bowling Green Bay are both areas of very high environmental values and they are home to many rare and threatened species. Dugongs, marine turtles, inshore dolphins and whales are all known to inhabit the area from time to time. Cleveland Bay represents significant foraging habitat for both dugongs and marine turtles. Seagrass is the primary food source for dugongs and green turtles. The importance of both Cleveland Bay and Bowling Green Bay to dugongs was recognised by designation as a Dugong Protection Area in 1998. This designation provided for added protection for dugongs by restricting the use of commercial mesh nets in the Bay. Aerial surveys have estimated Cleveland Bay's population of dugongs to number between 100 and 350 animals. Cleveland Bay is an important feeding site where green turtles graze on the seagrass beds and Flatback and Loggerhead turtles forage for their invertebrate food supply. Hawksbill turtles are found on the inshore reefs and the Olive Ridley turtles can be found in the deeper waters around Magnetic Island and along the coast. The beaches around Townsville (including Magnetic Island), while not defined as major nesting sites, are regularly used by nesting Flatback and Green turtles. Flatback turtles have been observed nesting on the beaches of the new Strand development. Green turtles foraging in Cleveland Bay have been linked, via tag recoveries, to nesting beaches in the Capricorn Bunker Group of Islands offshore Gladstone. One of the major threats to turtles in the Bay is boat strike and this issue is being discussed by the Townsville Local Marine Advisory Committee (LMAC). Cleveland Bay is an important habitat for dolphins. Most common are the Indopacific Humpback and Irrawaddy dolphins (see link to JCU Tropical Marine Wildlife Research Group here) which are widely distributed in Cleveland Bay especially around river and creek mouths. Preliminary data suggest that some 200 of each species inhabit Cleveland Bay. Bottlenose dolphins are also seen in Cleveland Bay though less often. Humpback whales are also sighted in Cleveland Bay during the winter months (July - September). This area is part of the population's natural winter migration, where the animals migrate north from Antarctica to breed and calve in the warmer waters off eastern Australia. The Humpback whale population is recovering from intense whaling pressures and is increasing at 10% per annum, so sightings within and around Cleveland Bay are likely to increase in coming decades. The impacts from a city of approximately 150,000, and in particular a major industrial port, must be addressed in specific management plans in order to reduce impacts on the World Heritage Area. These impacts create a range of pressures which require responses by various community, industry and government organisations. Disturbance of acid sulphate soils. These indicators are categorised by ANZECC (Core Indicators 2000) under three issues: marine habitat and biological resources; estuarine and marine water quality; and ecosystem processes (eg. Turtles nesting on Strand beach). Townsville and Castle Hill from Cleveland Bay. Coastal development can have environmental impacts on the marine environment. Pressures within the Townsville region include contaminants from marinas, recreational and commercial boating, ferries, pollution incidents, point source discharges, and diffuse source discharges. Recreational tourism also impacts on the local ecosystems. Townsville Port Authority manages the environmental impacts of it’s activities, it’s tenants and visiting ships. This is particularly important because the Port is projected to continue to grow strongly. After 12 successive years of record growth in tonnages the Port is expected to achieve 14 million tonnes of throughput by 2025 – up from 1.5 million tonnes in 1988. This is associated with significant increases in environmental pressures including atmospheric pollution. This will increase further in the decades ahead. Major expansion measures planned in short, medium and long terms. Along with implications for air quality, this has the potential to raise important environmental concerns given proximity of the port to the Great Barrier Reef, and to Dugong Protection areas, Seagrass beds and mangrove forests in Cleveland Bay. For more information about Townsville Port Authority Environmental Initiatives, see the environment section in their Annual Report 2001/2. Coastal and marine species biodiversity indicators, such as presence of seagrass species, mangrove species and habitat type reflect pressures caused by urban development. Stormwater discharge and effluent discharge are also contributors to impacts on the marine environment. Erosion and sediment transport as a result of poor land management also has environmental impacts and exacerbates natural sedimentation. Human modification of coastal ecosystems include: the removal of mangroves and past inappropriate land developments in sensitive marine areas, including inshore sand and mud environments. Council recognises that environmental protection measures must be implemented whilst seeking options for social and economic development. Future urban development will proceed in a manner consistent with appropriate management of coastal and marine environments. Schedule 2 - Scenic Coastal Landscapes (pdf 74kB) of Queensland Coast (discusses Townsville Coast as "High Scenic Management Priority"). Tropical Cyclones are a dominant, if intermittent, feature of the pressure on the marine environment in the Townsville Region. Whilst these are a natural phenomena, they can exacerbate human induced changes to the environment such as land clearing. Furthermore, it is believed that anthropogenic induced climate change could alter the cyclone regime. Associated with cyclonic activity is large rainfall events, sometimes lasting for weeks, strong winds, rough seas and storm surges. As the map below illustrates, Townsville is no stranger to cyclones. Both commercial and amateur fishing activities put pressure on the coastal marine and environment in Townsville. Salt Water Crocodile. Among our oldest residents. Significantly, the majority of the Townsville coastline remains in a natural state with the main modifications being around the Port of Townsville. Coastal ecosystems from Cungulla to Pallarenda including Magnetic Island are relatively undisturbed. Much of this area is also in National Park or areas recommended to be incorporated into conservation tenure (eg. Cape Cleveland – TTSP Regional Structure Plan). However, coastal erosion occurs even in protected areas. The Cungulla area, for example, is located at the delta end of the Haughton River in a sandy wetland based environmental system. (Hopely & Rasmussen 1996). Beach profiles observed at Cungulla have confirmed that this is a very dynamic zone – an ever-changing river delta environment. Studies of geomorphological movements of sediment have been undertaken at Rowes Bay and the Strand. Results suggest that these systems are not static, and that sand movement has been constant since the development of Townsville City. Seagrass studies have also been undertaken along the foreshore in response to impacts on dugong and turtle feeding sites. Estuarine systems are covered under Inland Waters section of this SOE Report. The Strand area has been rehabilitated by sand renourishment and together with re-establishment of beach vine and native grassland turtles are now successfully nesting on the beach from time to time. Turtles nesting on Strand beach. An Environmental History of Rowes Bay has been produced by Dr M. Mabin. This history documents the changes and factors which have influenced the current form of Rowes Bay to Pallarenda. See Case Study – Environmental History of Rowes Bay (.pdf 650kb). Our knowledge of marine sand and mud flat environments has been improving with studies being undertaken by researchers at James Cook University in Rowes Bay inshore areas adjacent to Kissing Point. Seagrass studies completed by CRC Coral Reef Research Centre have shown that the Strand development did not impact on seagrasses. In fact there is great seasonal variation in seagrass distribution and abundance. Other biophysical marine resources of the Townsville region have been generated from the Australian Coastal Database Internet GIS facility. Aims turnoff to Haughton River (Sheet 24). In 1999 a fish survey was completed of the Lakes Ross Creek estuarine system. In the Lakes 10 species were found. In January 2002 a catastrophic fish kill occurred in Lakes 1 and resulted in the death of more than 10,000 fish made up of 19 species of fish (including eels and crabs). Unfortunately extreme weather conditions (heat wave) and a heavy Biological Oxygen Demand (BOD) load following 12 months of practically no rain and subsequent algal bloom from nutrient inputs lead to Dissolved Oxygen levels plummeting and resulting in the fish kill. The fish kill did however reveal a very rich diversity of life in the river system. 50 Barramundi greater in length than one metre were killed. The quantity of fish amazed everyone and demonstrated that a relatively simple water body with good water quality for most of the time, could build up a healthy fish population. In response to many of the problems of the local area, Council has adopted an Integrated Coastal Zone Management approach. This approach recognises the lead roles of other Federal and State agencies in relation to coastal and marine environments, but endeavours to meet the responsibilities of local government in a way which ensures that local programs are co-ordinated and complementary. In order to stabilise beaches at Pallarenda and on the strand, sand renourishment and other appropriate actions have been taken to reduce pressure on coastal dunes. As well Council has supported Catchment management programs, work by local Coastcare groups, enhanced response to pollution incidents, integrated and cooperative water quality monitoring, and the development of environmental partnerships with Townsville Port Authority (TPA). Council has provided support to community estuarine monitoring with funding for a small boat and water quality monitoring equipment purchase for the RIVER group. Council has been involved in supporting local Coastcare activities and groups at Cungulla (since 1994); Pallarenda; and West Point (MI). This support, part funded by NHT Coastcare, has included dune revegetation & coastal tree planting; beach cleanup; signage, bollarding and beach access. In addition Council supported by 50:50 funding from the Beach Protection Authority was involved in fencing and revegetation of the dunes from Rowes Bay to Pallarenda from 1994-1995. Council attends the Townsville Local Marine Advisory Committees so it can remain abreast of marine and coastal current and emerging issues. This also gives Council an opportunity to report on its own environmental activities in water quality and coastal management. Townsville City Council in partnership with Townsville Port Authority and Conservation Volunteers Australia produced a stormwater and estuarine pollution brochure to focus on community involvement and ownership in protecting our estuarine and urban waterways. James Cook University and Townsville City Council have commenced working together tpo promote the environmental values of the otherwise unknown Rowes Bay Intertidal Flats and mini-estuaries (Ryan Street and Esplanade). This work has consisted of research by JCU (Marine Biology, beach cleanup (clean-up Australia Day 2004), and education and awareness campaign (envirofund interpretation project and sponge garden tours). Coastal management of beaches is a State responsibility under the Beach Protection Act. The Beach Protection Authority is responsible for overseeing the protection and management of beach and dune areas along the Queensland coastline. Their traditional view is that although the Rowes Bay–Pallarenda system is losing sand, this is part of normal coastal regression following development and eventually the coastline will reach an equilibrium (BPA pers com) in the area. This takes into account that there was more than 200 metres of coast lost to current housing. However, it did not take into account protection of road and other infrastructure assets closer to the beach. The State does offer a foreshore protection subsidy of 25% for coastal works (sand renourishment etc). In 1997 beach profiles of Rowes Bay were increased over a 100 meter stretch of sand in the key eroding area of beach change. In January 1998 following Cyclone Justine TCC Environmental Services was able to demonstrate significant coastal erosion from the storm. Subsequently the department was successful in obtaining funding for beach restoration to pre-Justine conditions. Since this time Council has conducted two further sand renourishments. Survey reports of the area show that with sand renourishment in place for three years the foreshore sediment budget calculations show that over 60% of the sand placed there since late 1998 remains in the nourishment zone ( Monitoring Report 3 - Mabin 2001). In this time the beach has withstood the effects of a Category 2 tropical cyclone, and several other high-energy wave events (Report on Cyclone Tessi 2001). Where sand has moved it has moved south to within Rowes Bay and has not been lost from the system at all. Survey in fact shows that longshore drift to the north has been minimal during the time. This is due to the effect of more northerly winds. However as was known from the beginning the beach has not been returned to a pre-Cyclone Althea state and a significant additional sand nourishment program would be required with annual renourishment. Options for groynes are limited in the area and aesthetically may not be acceptable on a broad beach such as Rowes Bay –Pallarenda. In addition they can cause erosion problems. Whilst groynes have proved an ideal solution in the compartmentalised conditions of Breakwater to Kissing Point headland feature (The Strand). These groynes are deliberately positioned to ensure sand is locked within the Strand beach/rock system and provide headland type features. Cungulla Coastal Solutions. In response to concerns from residents in the Cungulla township TCC commissioned a beach erosion review by Professor Hopley and Dr Rasmussen (see Report 1995). The results of the review were discussed at community meetings with residents of the township. Since this time there has been a significant beach clean up of debris and tyres (200 ton); annual beach profiles have been undertaken, and Coastcare activities have continued (including tree planting, access and vehicle management). Recently the local community recreational fishing group have got together and are working with Council on provision of permanent access to the Doughboy Creek boatramp. All approvals are in place and Council is currently in process of having USL land placed in a Reserve for Environmental Purposes in order to manage the access with the residents. The new State Coastal Management Plan has been adopted to address the issues and pressures associated with coastal development in Queensland. View here for Coastal Management in Queensland. Queensland Department of Primary Industries, Queensland Fisheries Service, has recently completed a coastal wetland mapping project and subsequent document; Queensland coastal wetland resources (Cape Tribulation to Bowling Green Bay). A number of community and other Non-Governmental Groups have been formed that show an interest in the sustainable management of Cleveland Bay and coastal environments. Amongst these are the Cleveland Bay Consortium (CBC), RIVER Group, Indo-Pacific Sea Turtle Conservation Group, and Townsville-Thuringowa Landcare Association/Natural Resource and Environmental Forum (NaREF). The Cleveland Bay Consortium is an informal industry/research forum for the discussion of the sustainable use of the environments of Cleveland Bay. Industry and regulatory agencies in the Cleveland Bay region have identified a need for comprehensive information about water, sediment, flora and fauna of the Bay for environmental license applications and future planning for sustainable use of the region. Information from past research is often difficult to find, of variable quality, and is sometimes difficult to apply to current problems and applications. Business, industry, regulatory authorities, and research agencies identified a need for a focus or forum to exchange information, priorities, information needs, and expertise. The CBC has recently released a Status Report for the Cleveland Bay. Ross Island Volunteers for Estuarine Rehabilitation (RIVER): a, volunteer, environmental monitoring group which aims to raise community awareness of the importance for biodiversity and productivity and the vulnerability of our river systems. Its main objective is to involve the community in collection of background data on these systems. Volunteers can participate in various activities ranging from assisting with school programs and conducting guided walks and talks for the public, to collecting monitoring information. To increase numbers of sea turtles which forage and nest in the Indo-Pacific region. To secure and expand existing sea turtle nesting and foraging habitats in the Indo-Pacific region. To identify and minimise threatening processes to sea turtle populations in the Indo-Pacific region. To design and deliver education programs to promote community awareness of the threats to sea turtle populations and inspire proactive solutions to diminish those threats. To encourage government agencies and commercial organisations to be pro-active in providing effective solutions to identified threats to sea turtle populations. To encourage indigenous groups, who hunt sea turtles and harvest eggs for culturally significant purposes, to regulate sustainable levels of take. To conduct research, collate data and deliver factual and unbiased information on the status of sea turtle populations, in the Indo-Pacific region. O.U.C.H (Order of Underwater Coral Heroes - 'Working to protect the Coral Reef Environment") is a community initiative to promote the protection of reefs and seagrass beds throughout the Great Barrier Reef Marine Park. This program as part of Queensland DPI Seagrass Watch, won the Prime Minister's Environmental Award on Australia Day 2000, for their work in Reef Protection. 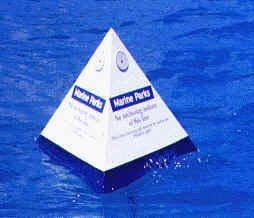 This work included the Reef Protection Markers which following the success in the Whitsundays is about to be installed in bays of Magnetic Island by QPWS. This group has previously conducted a sea bottom cleanup of Florence Bay with 21 volunteer divers in 2000 and others with smaller groups in the Outer Reef. Overall, over 200 kilos of rubbish (dry weight) has been collected from the local sea-floor. Maintain an Integrated Coastal Zone Management approach to managing Townsville’s marine and coastal resources, including consideration of both estuarine and catchment management initiatives. Promote opportunities for ongoing research through various organisations, which can greatly assist Townsville City Council in the development of management plans for estuarine and coastal locations (eg. seagrass monitoring with CRC and beach survey with JCU TESAG). Continue to enhance and develop business and community partnerships, which demonstrate commitment to managing our coastal resources and environment.